Consumers around the world have become better educated and more demanding in their identification and purchase of quality health-promoting foods; therefore the food industry requires innovative technologies to provide their clientele with safe and stable foods that meet safety regulations . 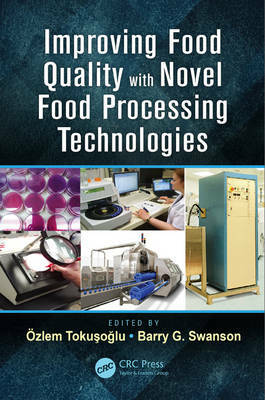 Improving Food Quality with Novel Food Processing Technologies details novel processing technologies including high pressure processing (HPP) and pulsed electrical fields (PEFs) that can improve the quality of food from functionality, chemistry/microbiology, bioactive quantity, and shelf-life standpoints. The authors discuss how to improve food functionality with high hydrostatic pressure (HHP) and PEFs. They focus on improving the quality and retaining bioactive constituents of fruits and vegetables and improving the quality of dairy, egg, meat, and seafood products with HHP. Broad in scope, the book also reviews the modeling and simulations of HHP inactivation of microorganisms and the relative effects of HHP processing on food allergies and intolerances. It then discusses improving food functionality with PEF processes in dairy and egg products, fruit juices, and wine. A chapter attending to industrial applications of HHP and PEF systems and potential commercial quality and shelf life of food products concludes this discussion. During the past decade, novel processing technologies including HHP, ultrasound, PEF, and advanced heating technologies containing microwave, ohmic heating, and radio frequency have frequently been applied in the processing of foods and beverages. Successful research and identification of economic benefits, including energy and water conservation as well as demonstrated safety and fresh-like quality attributes will improve consumer perception of nonthermal technologies and result in further development by the food industry around the world. In an in-depth exploration of these novel technologies, the book gives you the skills for product development and improvement.